Wonderful capture. She has a bit of surprise in her eyes. Thank you Tim. 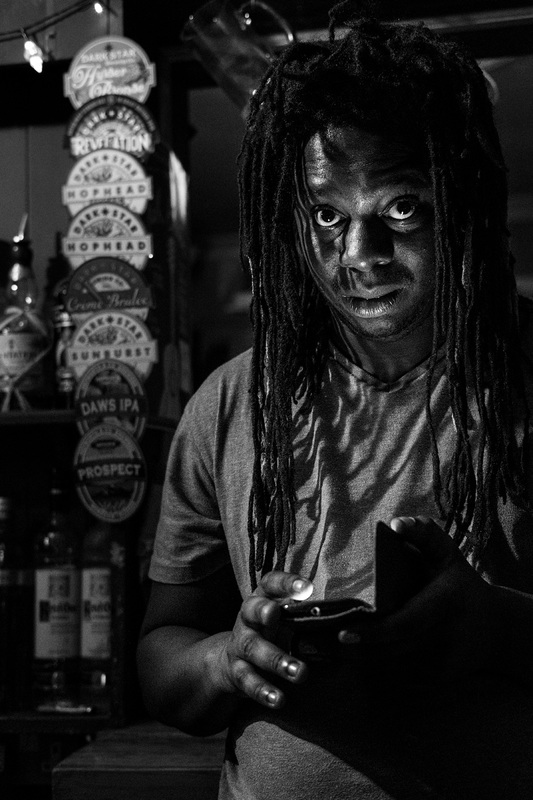 I like people illuminated by their phones, I took a few shots but this was the point he realised what I was doing. Well sometimes that surprise what make the photo work.